Honda Warning Lights | What Do Honda Dashboard Warning Lights Mean? What do the Honda dashboard warning lights mean? They could be malfunction indicators, condition indicators, or on/off indicators, and if one of them goes on while you’re driving around Lawrence and Methuen, it’s important to know the difference between them and whether your vehicle needs to be taken to a Honda service center. Check out our guide to Honda warning lights at Rockingham Honda, and schedule a service appointment with us if your vehicle needs maintenance! Malfunction indicators are critical Honda warning lights, and many of them mean you should visit your local authorized Honda dealer as soon as possible. Circle with “i”: This icon will appear when a malfunction or condition indicator comes on. This means you can get more information about the issue on the Driver Information Interface (DII) display. “BRAKE”: The light that simply says BRAKE can mean that your brake fluid is low or there is a brake system malfunction. Check the pedal pressure by pressing lightly on the brake, and when you are able to pull over or park, check your brake fluid level. If the pedal pressure feels different or if the light remains on after topping off brake fluid, see a technician as soon as possible. Oil Can: This icon indicates that your engine oil pressure is low. When it’s safe to pull over, check the oil level. If the light doesn’t disappear after adding oil, take your vehicle in for service as soon as possible. Battery: This means your vehicle’s battery is not charging. Turn electrical systems off but keep the engine running to prevent battery discharge, and take your vehicle to a service center as soon as possible. Airbag: The icon that shows an airbag deployed with a person in a seatbelt indicates that one of the airbag systems or seat belt tensioners is malfunctioning. Have it looked at as soon as possible. Engine: This can mean several things, from an emissions control system issue to the fuel cap being loose, to an engine cylinder misfire. When it’s safe to pull over, check your fuel cap, and if that is not the issue wait for the engine to cool down before going to a service center. Circle with “ABS”: Your vehicle can still brake but the antilock braking system is not functioning. Tire with Exclamation Point: If this icon blinks and remains on, the Tire Pressure Monitoring System is indicating that the tire pressure is low. Repair or replace your tire(s) soon. Steering Wheel with Exclamation Point: There is an issue with the Electric Power Steering system. When it’s safe to pull over, turn off the car and then restart the engine. Key with Exclamation Point: There is an issue with the Smart Key Entry System. Car with Tire Tracks: There is an issue with the Vehicle Stability Assist® (VSA®) system or the Hill Start Assist system. “ACC”: There is an issue with the Adaptive Cruise Control with Low Speed Follow system. One Car in Another’s Blind Spot: There is an issue with the Blind Spot Information system or the sensor is blocked. If you see these Honda dashboard warning lights, there’s no need to panic. They may simply indicate that a specific action is required. “BRAKE”: Release the parking brake before pressing the gas pedal. If you don’t release the brake and start to drive, you will ear a beep. Seat Belt: This icon will continue to blink and beep if your front passenger is not buckled in. It can also be triggered if you have a heavy bag or box in that seat. Gas Pump: If this icon appears, you are low on gas. If it blinks, you may have an issue with your fuel gauge which will need inspection at a service center. Red Dot: This indicates your engine immobilizer is engaged. This can mean that your Smart Key or remote transmitter cannot be recognized, the Smart Key battery is dead, or there is an issue with the immobilizer system. These lights show the status of certain vehicle functions and indicate whether they are on or off. If you have any further questions about Honda dashboard warning lights or if your Honda warning lights are related to Honda Sensing features, contact our service department and get the expertise of Honda-certified technicians! 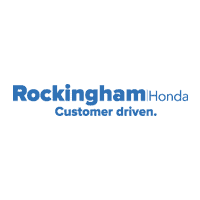 When it’s time to visit Rockingham Honda for your next service appointment, be sure to check out our rotating service specials to take advantage of the savings!